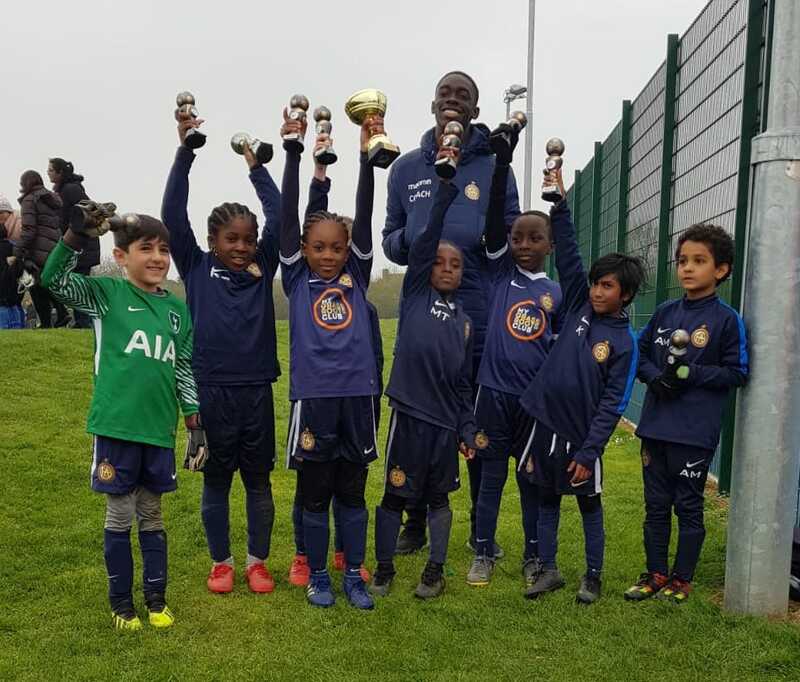 Grassroots Football Academy » GFA ENFIELD U8’s LIFT THE CYFL CUP! GFA ENFIELD U8’s LIFT THE CYFL CUP! GFA Enfield Under 8 Tigers win the Cheshunt Youth Football League Cup Final! 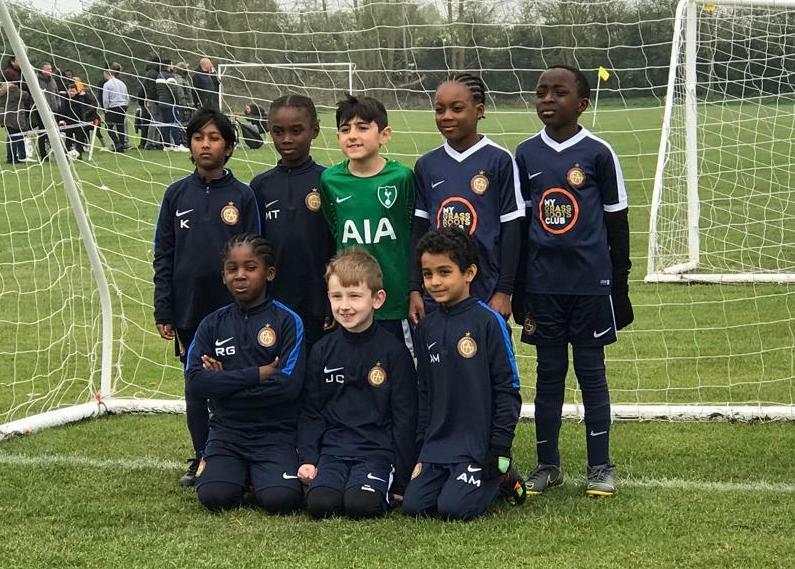 On Sunday 7th April our U8 Tigers played in the League Cup Final and there was great support shown from both finalists with so many parents, family members and friends attending to cheer on all the kids! In the second half our U8 Tigers went 3-2 down and a period of errors and good play from the opposition saw our opponents take a 5-2 lead, the game looked over and we were now playing for pride. However with 3 minutes left our U8’s scored 2 quick goals to make it 5-4 with barely half a minute left!!! With literally the last kick of the game a Hail Mary of a shot from our winger who hit a long range effort which hit the cross bar, bounced down off the goal line, the keeper cleared the ball off the line and the ball bounced back onto the ground and spun backwards into the goal 5-5!!!!!! You couldn’t write this?!?! To extra time… with our U8’s now full of confidence after all the drama that unfolded in normal time and with all the momentum behind them they went on to win 8-5!!! It was a great final to watch for the neutrals and heart stopping for the supporters, coaches and players involved. Very unlucky to the opponents who were seconds away from winning had it not been for a last ditch shot on goal and the spin of the ball. Unlucky for our opponents and well done to our U8 Tigers who stepped up!! !